In 2003 Sreenivasa Rao Vadalasetty helped write a report for the SANS Institute that was titled “Security Concerns in Using Open Source Software for Enterprise Requirements.” To some that title today is almost laughable. 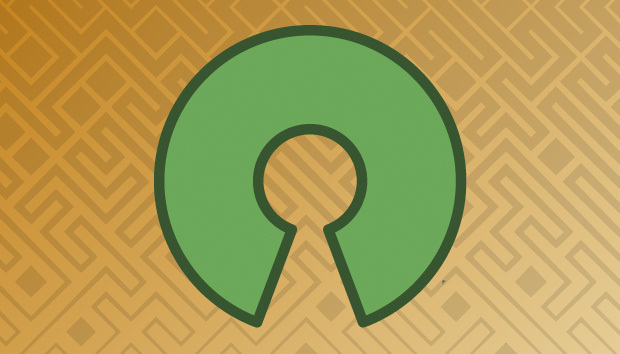 In a survey done by Black Duck Software last year, the findings showed that use of open source software has increased. The survey, which analyzed input from a record 1,300 C-suite and senior IT professionals, shows that 78 percent of respondents said their companies run at least part of their operations on open source – a number that has doubled since 2010. “We’ve come a long way since then. It’s clear that open source has become the default base for software development, infiltrating almost every facet of the modern enterprise and outperforming proprietary packages on quality, cost, customization and security,” said Paul Santinelli, general partner at North Bridge, which partnered with Black Duck on the survey. The survey goes on to say that 55 percent noted that open source delivers superior security. “Open source security products have been used for more than two decades. Let's take Snort, for example. Released in 1998 and used for IDS/IPS by some of our own governments three-letter organizations. OSS originally got a bad rap for poor security due to proprietary software vendors FUD tactics. Many companies have come to realize that more patches fixing security are released for OSS than most proprietary products. Why? The size of the community in any given project, agile processes and the need to act quickly to resolve any issues. Proprietary vendors still have a lock on finance and [human resource] applications... but that could be the next area for innovation in open source software,” he added. Michael Taylor, applications and product development lead at Rook Security, said the open source community has consistently created excellent tools for both general and security purposes. “The reason these tools have been successful is that they are created in the open, so there is no mystery behind what the code is actually doing. This allows each user to determine for themselves whether they are comfortable with the actions of the tools,” he said. Additionally, he said, the user gets to be involved in the development process through the creation of additional features, bug reports, and code review of the projects. This community involvement greatly increases the population of testers and code reviewers. “We have used many different open source tools for security and in day-to-day activities. Most of the population has likely used open source items in one form or another, such as cell phones, operating systems within their cars or other home devices, and many other embedded systems. The security around these platforms is often components from different open source projects. An example is the embedded Linux system in a car would have security components that would be seen in a production web server,” Taylor said. Rook Security uses SNORT and Suricata for network monitoring, Elasticsearch as a database solution to handle many types of data, and OpenSSH for connecting securely to a host using strong encryption and authentication methods. Bill Weinberg, who is senior director and analyst of open source strategy at the Linux Foundation, said open source software is deployed in nearly every aspect of enterprise infrastructure and across enterprise networks “to a degree unimaginable just a few years ago”. He cited a Gartner report that found an average 29 percent of enterprise software stacks are comprised of open source software, with best-in-class organizations utilizing up to 80 percent open source in their portfolios, freeing funds and resources to develop, acquire and deploy commercial/proprietary code for the most differentiating and/or business-critical functions. “We are entering a ‘post proprietary’ era where it is basically impossible to build and deploy applications without some integration of open source software. This phenomenon extends to the enterprise desktop to enterprise data center applications to the cloud and of course to mobile/embedded,” he said. Finance and human resources, while handling highly proprietary and sensitive information, are not immune to the benefits of deploying on and with open source, Weinberg said. “On premises, HR and Financial apps run on Linux and integrate a range of open source libraries and middleware,” he said. Focusing on “networks”, that is (embedded) network equipment consists of at least 80 percent of code deployed in routers, access points, NAS and other network nodes is open source, he noted. The survey showed that 45 percent of respondents gave open source the first look with regard to evaluating security technologies for internal use. Aleksandr Yampolskiy, co-founder and CEO of SecurityScorecard, is also a proponent of open source. He cited the “many eyes” theory whereby the more people reviewing the code the less likely vulnerabilities will get through. With the extensive peer review process, he feels comfortable using open source products. The only downfall with open source products is the lack of support. A commercial vendor is obligated contractually to respond to issues to its product. Michael Pittenger, vice president of product strategy at Black Duck, said the support model for open source is backwards. “It is up to you (as the user) to know if there is a new version of that software available,” he said, adding that you have to be engaged to know when vulnerabilities have been found. “Utilizing open source solutions, whether it is for PII, financial records, or proprietary information should not be a concern for most institutions. The underlying encryption algorithms, communication protocols, and operating systems are often already open sourced,” said Rook’s Taylor. He added, that this allows for researchers to examine the code directly for defects and vulnerabilities. It is more difficult to investigate precompiled binaries that are delivered by closed source products. J.J. Thompson, founder and CEO at Rook Security, said open source tools are very useful for providing data enrichment to enhance the context of an attack to facilitate bucketing. Many commercial tools provide information about the IDS signature, or the origination IP, but do not glue it all together. “Instead of trying to find a super-sized offering to do this, which none do effectively, it is often better for internal teams to glue the pieces together themselves with open sourced threat intelligence,” he said. Additionally, scripting capture of information about the asset under attack can help security teams decide how to effectively respond based on the business criticality of the asset, he said. The 2003 SANS report noted, which is still true today, enterprises should do an extensive risk and security analysis before choosing open source solutions over their closed source counterparts. The analysis should consider various factors such as the expertise available in-house and the support options available for the respective open source product. Well documented and implemented security policies and best practices help an enterprise to mitigate the risks and enjoy the real benefits of open source.